I am fortunate that I can use kits in advance so I used my Alice kit for my entry into Scrap the Girls November 2017 Challenge as it was the perfect prompt to combine with this kit and my photos from cosplaying the Cheshire Cat at last year's FraserPop Festival. So today I wanted to share with you the details of how this layout came together. 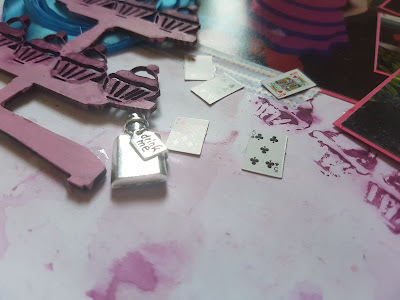 I decided to use the chipboard from the kit and paint it with my Vicki Boutin pink paint and Dina Wakley eggplant paint, I decided to give it a think coat and they use it like a stamp on my background. I created the background with the left over paint by doing the packaging technique with it and then stamping my still wet chipboard onto the cardstock. 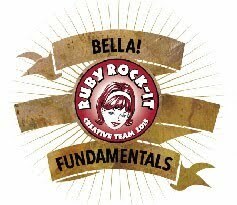 I love the effect this gave my background and how it affected the finished paint on the chipboard. 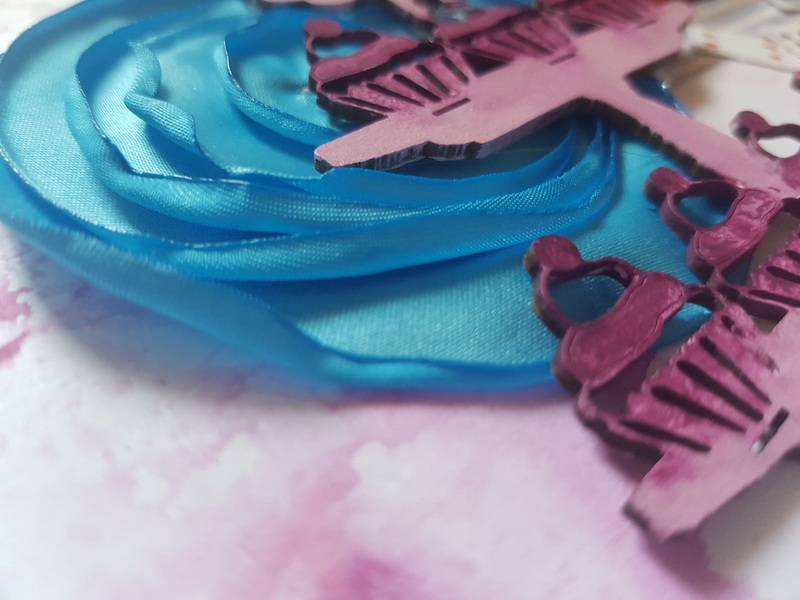 I decided to layer my chipboard onto the blue satin flower but that meant the top would be higher than the bottom so I used Helmar Scrap Dots along the bottom to lift it up to the same height as the top. They were the perfect way to get the perfect height. 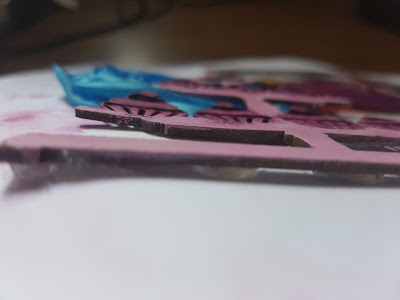 As the top of my chipboard was sitting on the flower the bottom needed to be raised, I used Helmar Liquid Scrap Dots to do this. They are perfect for something like this as you can adjust the height they are giving you quiet easily. I then added the mini cards and the bottle charm to create a whimsical cluster. I then added some washi to the top left and bottom right corners and wrote my titles on the washi but sort of going off it a bit. I added a piece into my main cluster/photo area to pull it all together. Once everything was dry I realised I forgot to use the tail and my plan all along had been to make that a feature of this layout, oh well I will save it for the next layout. I love how this layout turned out, it is perfect for recording the fun I had. 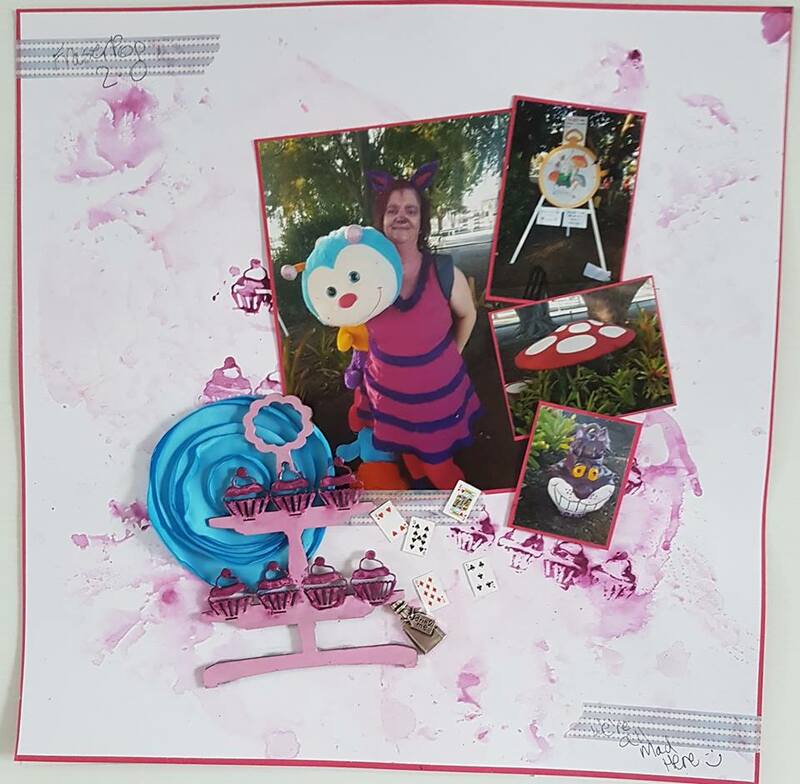 If you would love one of these Alice Kits head to the Subscription Tab over at the Scrapping Fun Kits blog and fill in the form. What a super fun and bright layout! 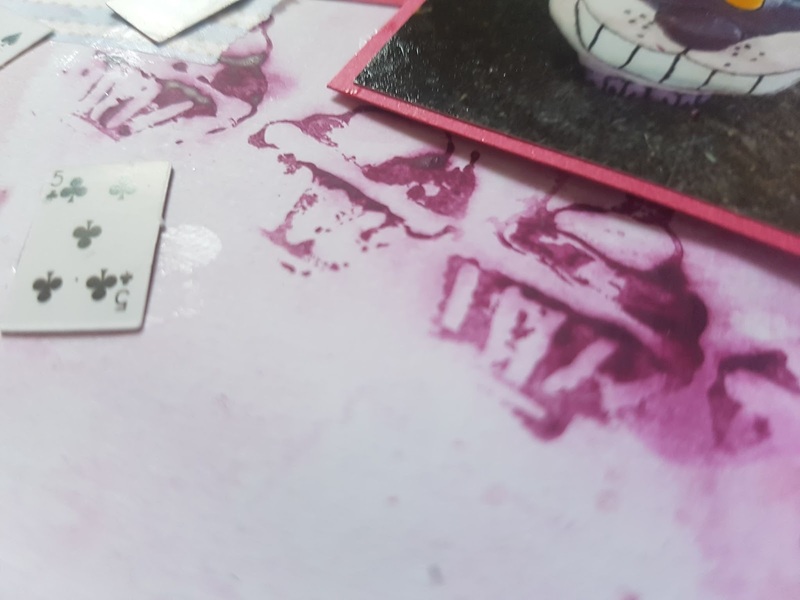 Love how you used the chipboard to use it as a stamp kind of very good use of supplies.